Free Guns and Roses 'Mr. 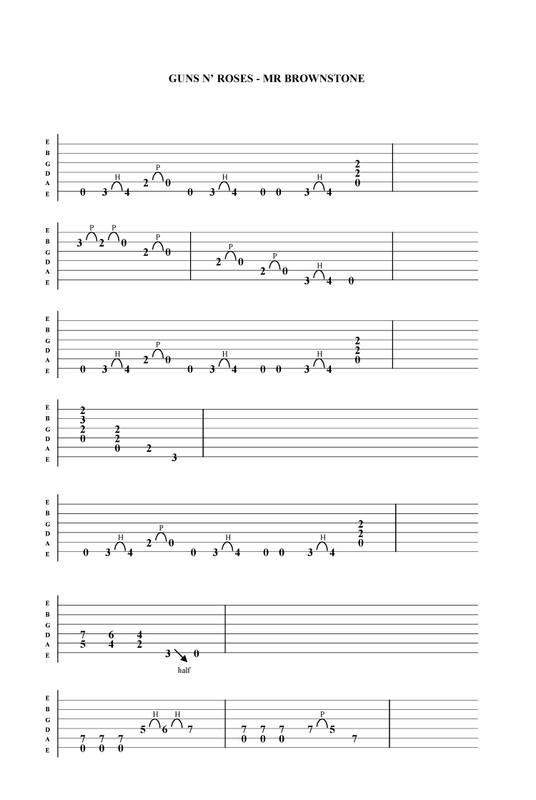 Brownstone' guitar tab . Don't forget to tune down to E flat for Guns and Roses songs .